Hello 2016! I am SO excited for the engagements and weddings that are yet to happen this year! I feel crazy lucky to be able to have this business of photographing LOVE for a living... I have to pinch myself some days. Now that "engagement season" is in full swing, I will start revealing some of my Fall engagement sessions over the next few weeks. Such sweet imagery to come! Today, I want to introduce you to Ashley and Kyle. Pretty much the funniest, sweetest, and most genuine couple I know. Not to mention Ashley's infectious SMILE! Right? What a beauty! At our first consultation, Ashely and I were convinced we knew each other from somewhere... she looked soooo familiar and I looked familiar to her. We finally figured out that we used to dance together when we were little girls for the Richmond Ballet! I know I have some old boxes in the attic FULL of imagery from the Nutcracker days so I must dig through to find an image of us together. That would be too cool! 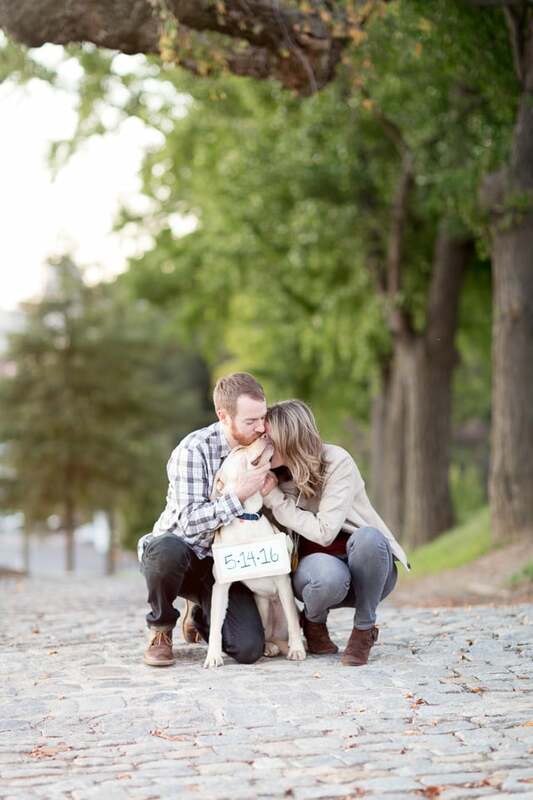 Ashley and Kyle are planning an amazing event with their talented planner, LK Events & Design. It will be held at The Historic Tredegar Civil War Museum in downtown Richmond and will be in the peak season of Spring. It doesn't get any better! I am thrilled and honor to be their photographer... can't wait for the big day!